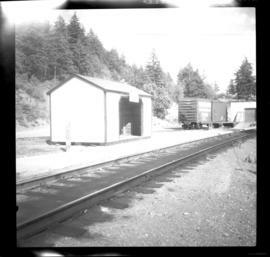 Photograph depicts the depot in Shalalth that faces Seton Lake. 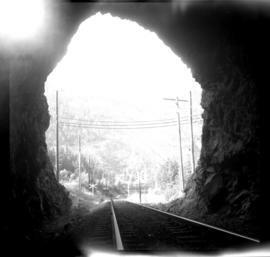 Photograph depicts an the eastern portal of a Pacific Great Eastern tunnel on the west side of the Bridge River Hydro project in Shalalth. 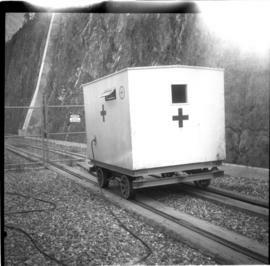 Penstocks of the hydro plants are clearly visible on the hill side.